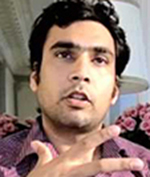 Rishabh Khanna co-founded the Indian Youth Climate Network, is part of YOUNGO (Youth constituency in the UNFCCC) and former South Asia campaign co-coordinator for 350.org. He holds degrees in Economic Development, Environmental Law and Management, International Law and Diplomacy and is passionate about applying the principle of social biomimicry in the global economy and our collective connection to mother Earth. 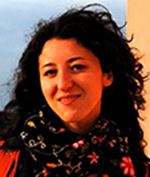 Tatiana Sokolova has a Masters in Sustainable Development from Uppsala University, Sweden. She has work experience as an economist, lecturer, course developer, translator and enterpreter. In the past few years she has been involved extensively in organising events on sustainability, economics and business, including a yearly international conference on Trust and Integrity in the Global Economy, dedicated to transformational change and leadership. 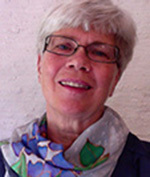 Ingrid Franzon is the author of many motivational books in Swedish on environmental health issues, webmaster and motivational speaker with a masters in clinical nutrition. Her clinical work raised her awareness, concern and consequent action regarding the effects of environmental contaminants on health, inspiring the websites www.kanariefaglarna.com and yellow-canaries.com and subsequently co-founding EnvirohealthMatters. 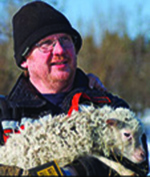 Gunnar Söderlund is a farmer, stage manager and event organizer. Reading Rachel Carsons’ book “Silent Spring” when he was eleven altered the course of his life. He found a passion for nature and the environment that has followed him since. After 30 years of international work Gunnar and his wife Sylvie, singer from Switzerland, now combine a B&B with producing grass fed beef and lamb under their own label. Dr Robert Verkerk PhD FRSM is an internationally acclaimed expert in agricultural, environmental and health sustainability. 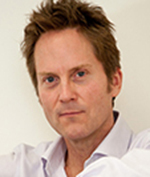 In 2002, he founded the Alliance for Natural Health International which has become one of the leading, not-for-profit campaign organisations working globally to promote more sustainable healthcare systems through the use of natural and bio-compatible approaches.